I'm back with more review and this time I will be testing on G9 Skin First Lipstick! They have 5 beautiful colours that I'm going to swatch on my hand and also my lips. 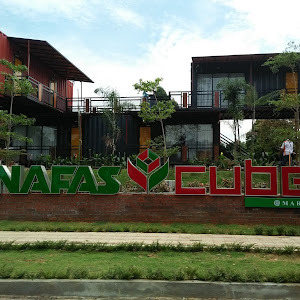 Make sure to click more to read my honest and detailed review on this. 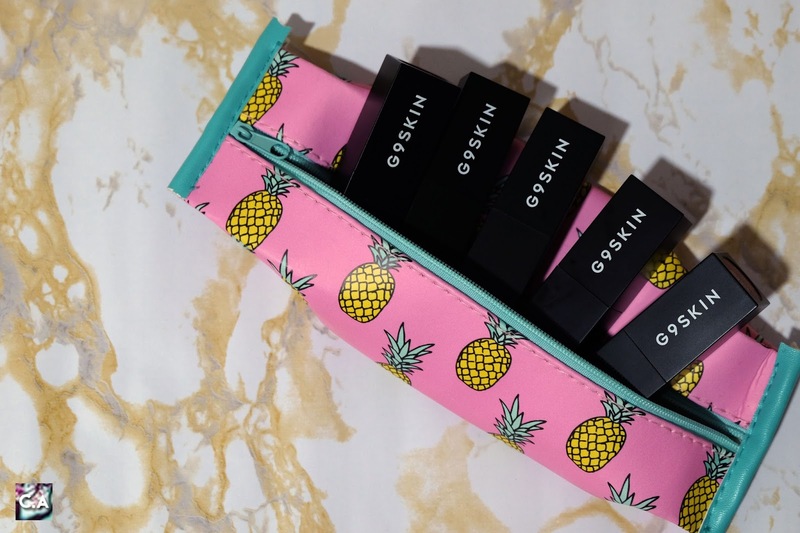 The prints and G9 Skin First Lipstick packaging enhanced each other! I'm so excited to try on lipstick product because it's my favourite type of makeup among others. I have been using a tons of liquid lipstick since it invented but now it's time to back to basic. Yes, we are trying out the basic lipstick form in just a minute. 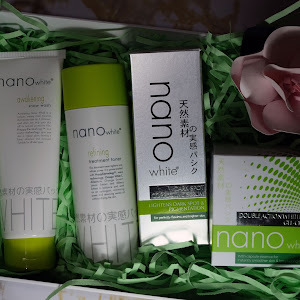 Before that, if you wanted to know more about G9 Skin and their product review, just click Review: G9 Skin White in Whipping Cream! 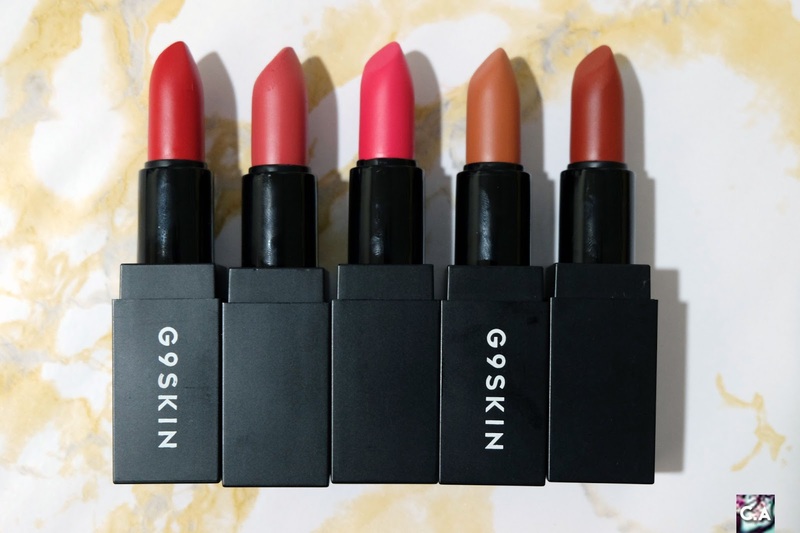 Five beautiful colour of G9 Skin First Lipstick. 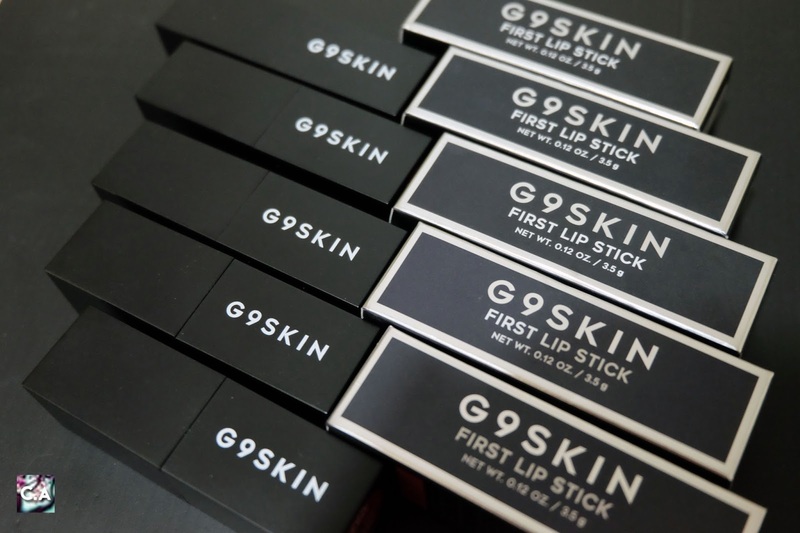 I think I get it when they named this as their First Lipstick range because it is G9 first lipstick have produced! According to G9 Skin official website, they have 8 colours (3 new colours in town) but in Malaysia official website or seller, there are only 5 colours available. 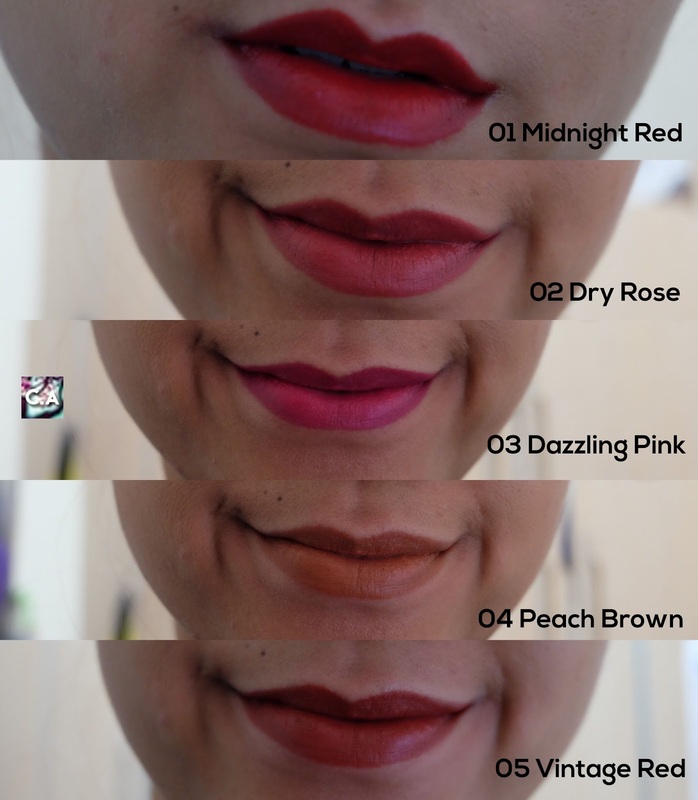 The colour are Midnight Red, Dry Rose, Dazzling Pink, Peach Brown and Vintage Red. This lipstick are claimed to have a soft cream texture and drying out become a matte lipstick after a while. Other than that, it also said to be long lasting and pigmented. 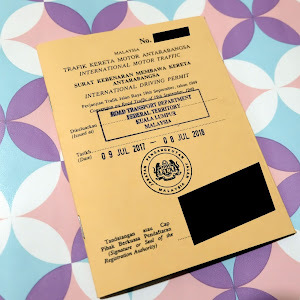 The review must go on and I'm going to do it right this time! For your information, I have been used this for quite some times now, the first time I put on my lips is when I did Facebook Live, and on first day of Raya I wear Dry Rose for one whole day (touch up once onyl). But I didn't focus on the lips that much during that day as I have a tons of delicious food in front of my eyes, and all I do is eat. Yesterday, I focus 100% on this lipstick so I'm going to tell you the details! By the way, I didn't do any lip scrub or treatment before applying the lipstick to see how it react without any help. I started wearing the lipstick again with Dry Rose at 4.23 PM, and I went out to eat (rice, chicken, sambal and vegetables soup). To be honest, it is pigmented because all I have to do is one swipe only at the bottom of my lips. It was a bit hard to apply on upper lips since that part is small so I have to do couple of times to get it right and I do feel moisturise. After I ate around 4:56 PM, I did noticed some came off but not that obvious so it survived sambal. 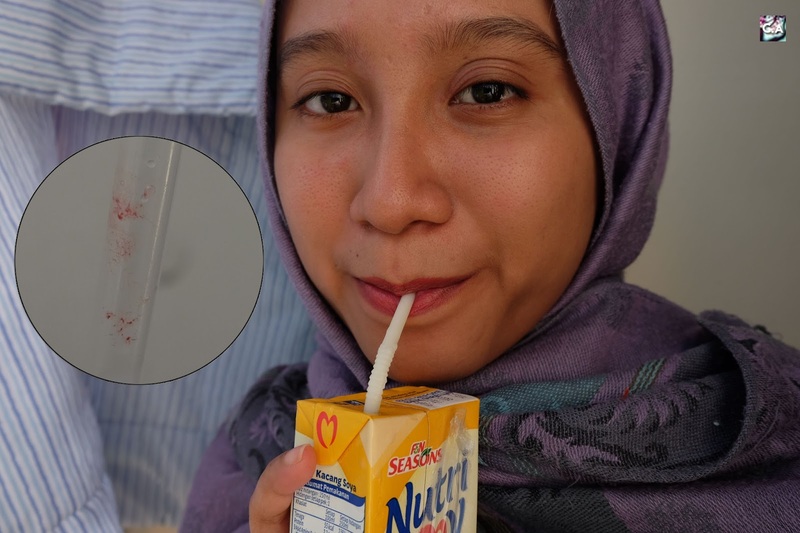 But then I drink some soy milk and want to see if its transfer on the straw or not. It does transfer but I was surprised it was that much. So far the lipstick is promising and does what it claimed. Then I went out to shopping mall and did some errands and I noticed that it start drying out and becoming a matte lipstick. I did feel it drying out but its bearable for me because its not like sucking and drying out your lips that bad. Then I drink some tea live and ate a coffee bun, and the results shows on 8:36 PM which there are some lipstick left and it create like a gradient kind of type. Around 10.59 I went out and ate fish and chips with mango juice, that lead us to 11.51 PM which after I finished my meal. 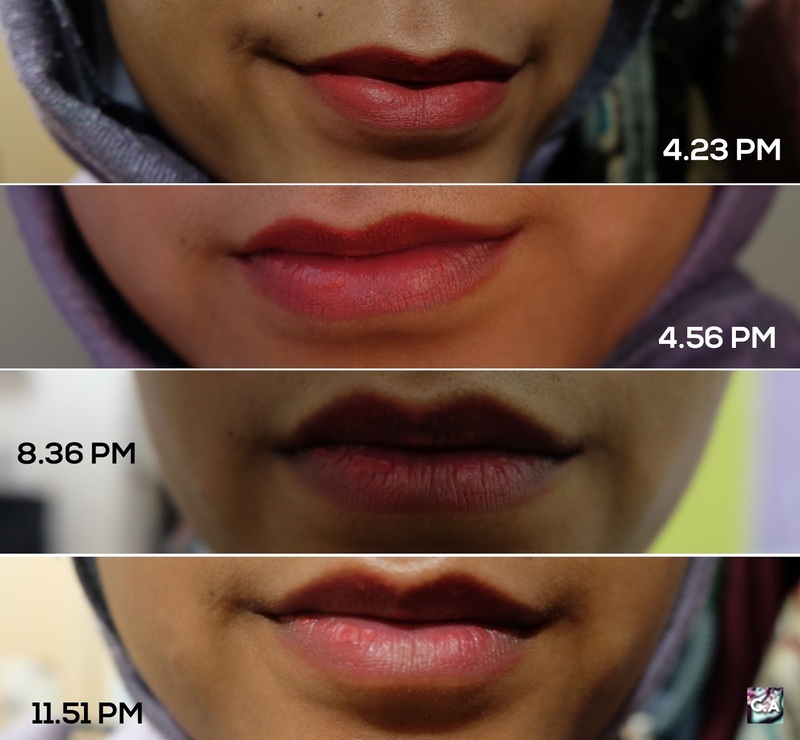 You can see that it's already worn off since 8:36 PM and I think that's when you should do some touch up and that will keep your lips colour around few more hours. Hmmm. I was thinking so hard if I would repurchased this again or not, and I think I would but just certain colour. 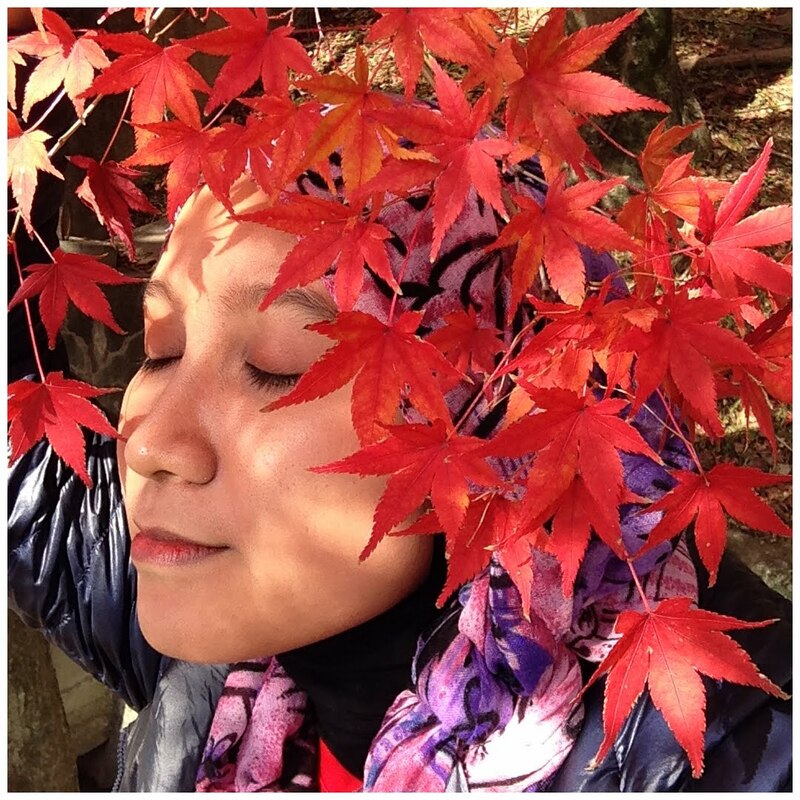 Among all the colours, I less satisfied with peach brown because its less pigmented than others. Don't get me wrong, like other colours all you need is one swipe but with peach brown you kind of have to do couple of times to build up the colour. In terms of moisturising and long lasting, it does do what it claimed which I think is fantastic. 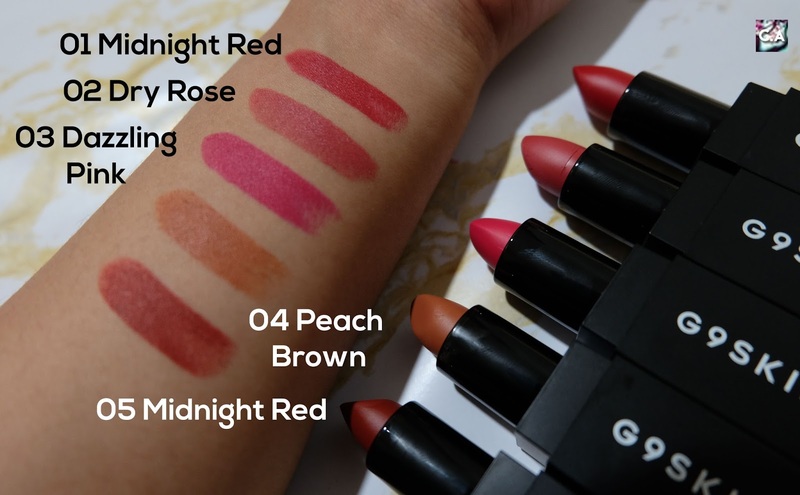 Personally it was a really good experienced with this lipstick, especially when all I wear is liquid matte lipstick which I think the G9 First Lipstick can be substitute to that because its not drying out my lips that hard. Till then, that's all for the review! 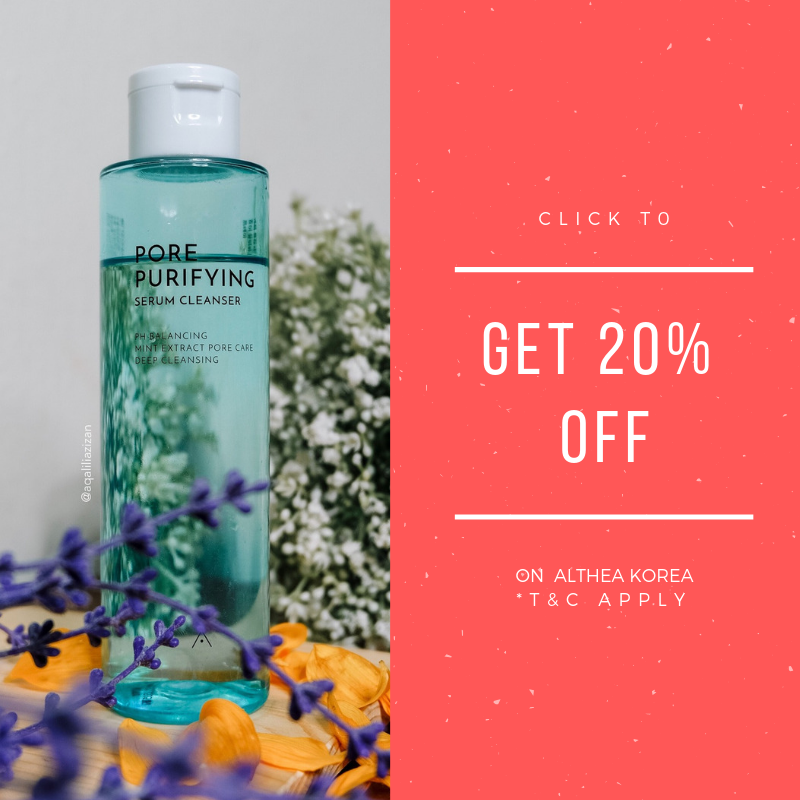 I hope you like this post and make sure to leave a comment below which product should I try out next. Have a great day lovely people! You can get your hand on G9 Skin products on Vline and Hermo. 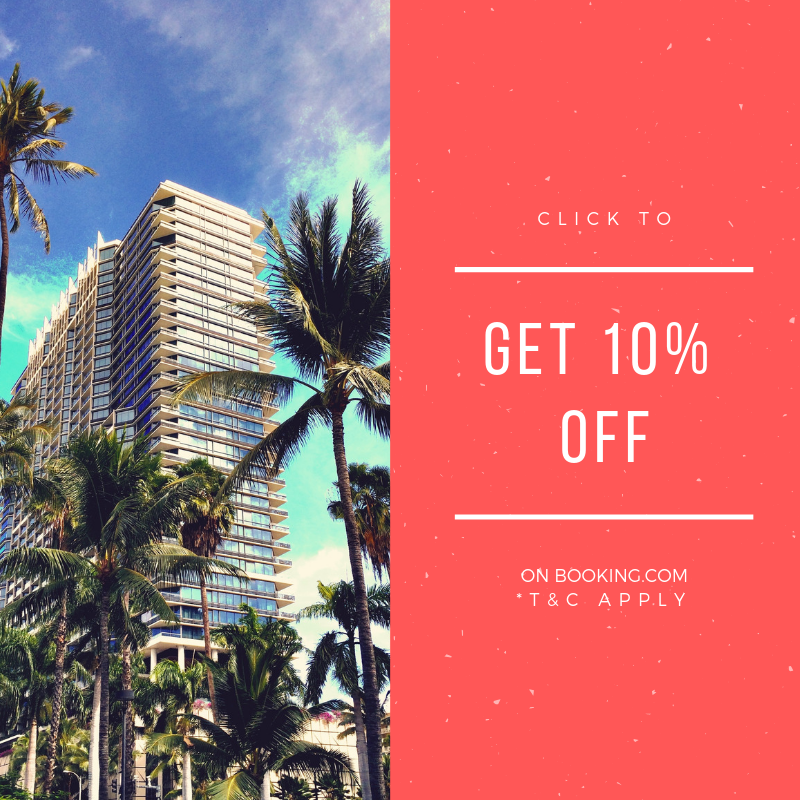 Sleek and minimal! I love the packaging.